It is hard to know how to make sense of suffering. How do you help another when they are weak? How do you love those who are so torn apart by grief and loss? How do you walk each step with a friend through dark days and an unknown future? There is no gain in making it more about me. For me, I am nothing. He needs to be greater. Pray that He becomes great through the pain, the suffering and the loss….. 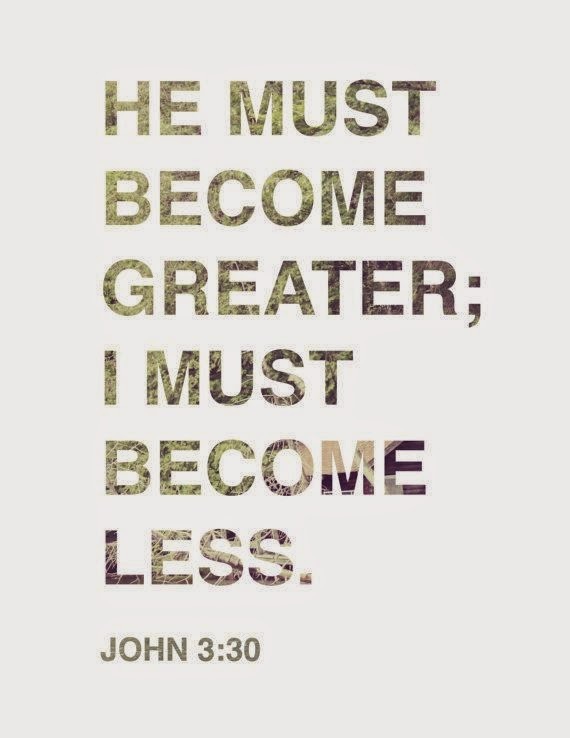 Author Susan BradbeerPosted on August 5, 2014 July 6, 2017 Categories He is greater, John 3:30, pain, sufferingLeave a comment on Pain, Suffering, Loss….